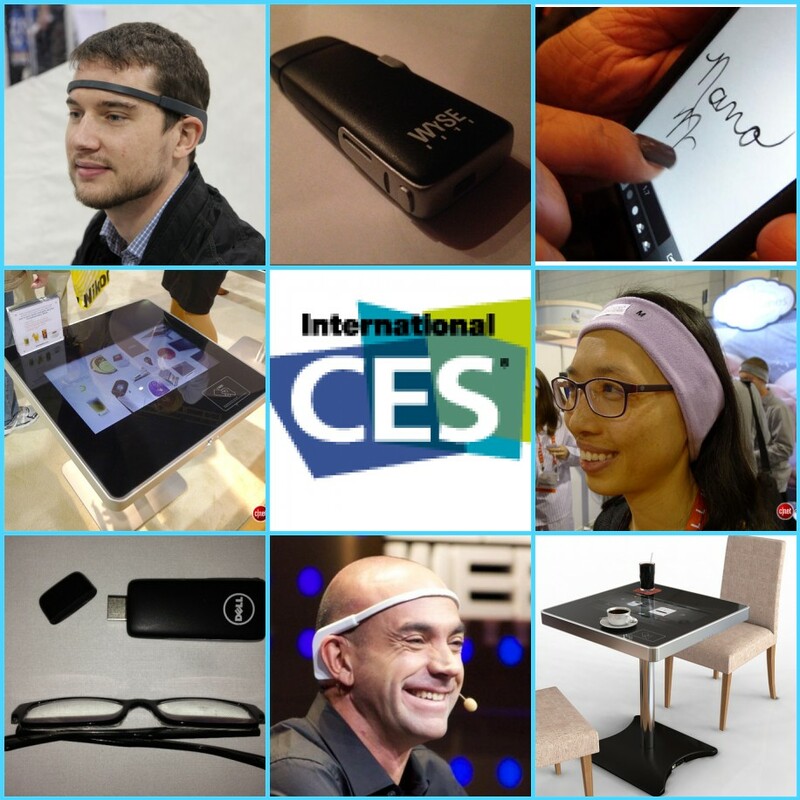 Friday Five: CES 2014 Gadgets We Love! Every January Las Vegas becomes home to Techies and Gadget Junkies alike for the annual Consumer Electronics Show, otherwise known as CES. This year, we are bringing you our 5 favorite things from CES out of the 3,200 exhibitors, developers and suppliers! 1. Razer Nabu: The Nabu Smartband is leading the pack in the ever growing fitness field. Packaged in a stylish design it combines smart watch capabilities with a host of fitness tracking features! This lifestyle accessory combines the two features with a 7 day battery life, meaning less time charing and more time using the product for everyday tasks. The Nabu does everything from transmitting calls and texts to monitoring activity and sleep patterns for a healthier lifestyle. 2. Samsung Curved Television: Equipped with an Ultra High Definition display Samsung is tackling the concept of morphing screens head on. The debuted an 85″ flat screen television that can convert into a curved screen with the touch of a button. Currently Samsung is working on a product line of morphing and curved screens, look out for those later this year. 3. Ford C-Max Energi: Ford’s thought process on the new Energi concept is to take your charging station with you. How you ask? By creating a solar powered car! With built in solar panels on the roof of the small sedan Ford estimates it will be enough to power 75% of the average driver’s trips. The alternative fuel trend is no longer a trend, the Ford C-Max Energi makes it apparent it is now a way of life. Check out the video here. 4. 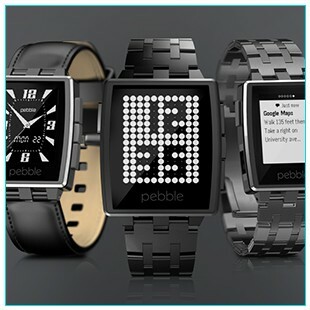 Pebble Steel Watch: Wearables are the trend for 2014, with many calling it the year ‘nerd fashion’ goes main stream. Pebble has been around, but have taken this wearable smart watch to the next level. The digital display is complimented by a stainless steel or matte black metal band, a far cry from plastic straps on other smart watches. It gets better, at $249 it is not only within range of many high end watches, it begins shipping at the end of this month! 5. 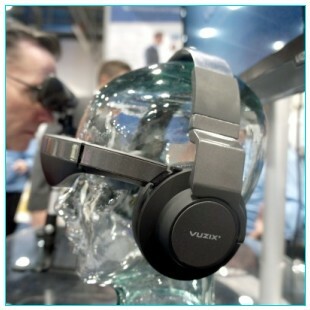 Vuzix Eyewear: Google may already have competitors lined up, willing and eager to take Google Glass head on. Vuzix is no exception, tackling Google Glass on. Combining Eyewear as well as headphones it creates a ‘full emersion’ experience. Although it may not be quite ready for mass consumption, it’s obvious that wearable eyewear is the next thing in smart technology. 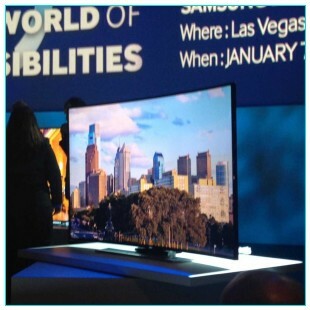 Tell us, what stood out to you at this years CES conference? Let us know your thoughts in the comments below or on Facebook and Twitter! For those who don’t know about CES (The Consumer Electronics Show), it’s the gargantuan annual gathering of the gadget industry. CES takes place each winter in the Las Vegas Convention Center, a complex so massive that it spans a highway. It was reported that this year, many of the best products came out of startups, and even Kickstarter! 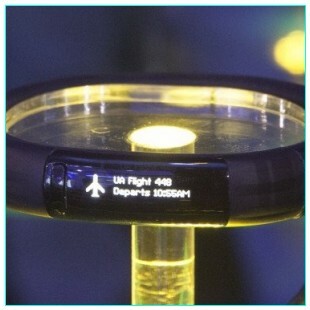 We also saw that CES 2013 featured more innovation from the digital health and fitness world than ever, including everything from health monitoring devices to mobile fitness apps. Also, there was a star studded guest appearance by President Clinton, who discussed the importance of mobile technology to help people around the world. We’ve compiled a list of some of our favorite products that we hope you enjoy! 1. Interaxon’s Mind Controlled Headset | Interaxon designed Muse, a four-sensor brainwave headband to work with brain health, fitness, stress management, and other applications. Sensors in the headset read electrical frequencies emitting from the brain’s neurons (electroencephalography or EEG). Though this is old technology, Interaxon’s adaptation resulted in a lightweight headset that syncs what you’re thinking with an iOS or Android device- potentially very convenient. 2. Nano Nails touch screen stylii | For a woman with long nails and a touch screen smart phone, it can be a little difficult to get a lot done. Fortunately Sri Vellanki of Tech Tips created an over-the-fingetip stylus- but it then became a challenge to make it fashionable. Nano Nails uses the same design, but places it underneath the fingernail. In May, they will be available in a full press-on nail, or nail tip for around $10 per pack (4 or 6). 3. Moneual Smart Table | This Touch Table PC is going to revolutionize the restaurant industry. The idea of going to a restaurant, looking over the menu, ordering and paying, all without the waiter (and tempermental attitude) sounds beyond appealing. It can also be used for surfing the web, reading newspapers and magazines, and even playing music. We don’t know yet when it will be released, but hopefully soon! 4. Fitness Sensor Earphones | The Iriver, by Valencell, has taken a little longer than expected, but will be available in March of this year. The best thing about the Iriver On is that it’s integrated with a device you already wear while exercising: earphones. There are no annoying clip on’s; you just monitor your heart rate, distance, cadence, speed, and calories burned while you rock out to your favorite songs. There is an app that will process all of the information it collects, as well. 5. Soft Headphones for Sleeping | SleepPhones “pajamas for your ears” were invented for those who want to lie down while listening to music with a pair of headphones. Regular headphones or earphones tend to feel uncomfortable and cause an slight annoyance, especially while you rest on your side. It can even be used on a flight as an eye-mask…that plays your music. How rad! 6. Cloud-based computer | Dell Wyse, the cloud computing subsidiary of the American Dell electronics company quietly revealed its latest product- Orphelia. This cloud-based computer on a USB-like device is going to be your best friend. It easily converts any TV or computer monitor into a functioning computer. This small device boasts an Internet accessible capability, keyboard and mouse support. Long gone is lugging your computer around on business trips or family vacations. Orphelia is all you’ll need. Which of these products are you most excited about? Let us know in the comments below, or on Facebook & Twitter.